We’re hiring! Boasting a new visitor experience complete with a renovated Museum at the Gateway Arch, a one-of-a-kind Tram Ride to the Top, and history reimagined at the Old Courthouse, millions of people from around the world visit Gateway Arch National Park each year. With the 2019 tourism season right around the corner, we need you to help us welcome these visitors to our beloved urban national park. Serve as an ambassador for the Tram Ride to the Top experience as a tour guide, where you’ll lead guests in discovering the Arch’s unique tram system and guide them 630 feet to the top of the Arch. Spend your days on the Mississippi River aboard the Tom Sawyer and Becky Thatcher riverboats as a deck hand, server or bartender with the Gateway Arch Riverboats. 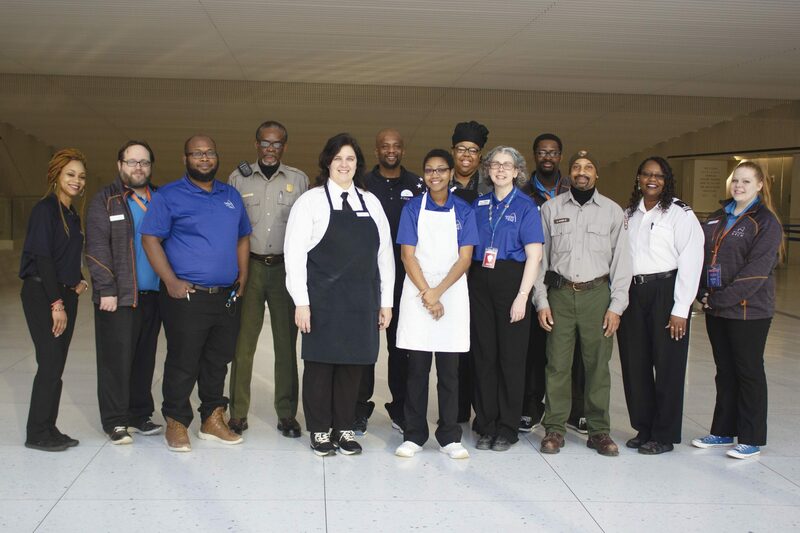 Join the National Park service as Gateway Arch National Park’s seasonal security guard, visitor service assistant or even park gardener. As a ticket sales agent or call center agent, ensure a memorable visit to the Arch from visitors’ very first interaction with the park. Help visitors make – and keep – memories of their visit as a souvenir photographer. Interact with visitors and cultures from around the world as a server or barista at The Arch Café or as a seasonal sales associate at The Arch Store. Full-time, part-time and seasonal positions are available with the park’s various partner organizations, including Bi-State Development, the National Park Service, Jefferson National Parks Association, Evelyn Hill and Photogenic. For a full list of job openings and application details, visit gatewayarchjobs.com.